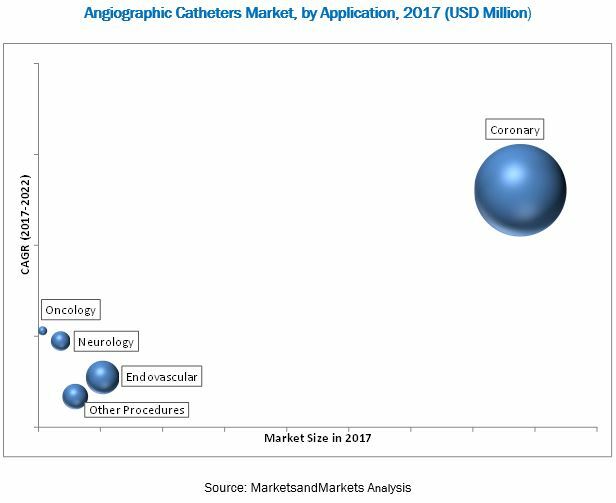 According to new market research report, angiographic catheters market is expected to reach USD 1,402.8 million by 2022 from USD 922.1 million in 2016 and, at a CAGR of 7.4%. The base year for this study is 2016 and the forecast period is 2017–2022. Increasing number of Cath labs in APAC, incidences of CVDs and preference for minimally invasive surgeries are few of the reasons for the growth of this market. Top-down and bottom-up approaches were used to estimate and validate the size of the market and various other dependent submarkets. The overall market size was used in the top-down approach to estimate the sizes of other individual submarkets (mentioned in the market segmentation—by application and region) through percentage splits from secondary and primary research. The bottom-up approach was also implemented (wherever applicable) for data extracted from secondary research to validate the market segment revenues obtained. The key players in the angiographic catheters market include Boston Scientific (US), Medtronic (US), Terumo Medical (Japan), Cardinal Health (US), and Merit Medical System (US). Detailed report underlining the various growth opportunities presented in the market. Product matrix, which gives a detailed comparison of the product portfolios of the top five companies in the angiographic catheters market. The market is expected to reach USD 1,402.8 million by 2022 from USD 980.9 million in 2017, at a CAGR of 7.4%. Market growth is primarily driven by the aging population and increasing incidence of diseases such as CVDs; and demand for angiographic catheter for the diagnosis of arterial blockages. Technological advancements in catheter-based angiography techniques is driving growth of this market. This report broadly segments the angiographic catheters market into application and region. The report also contains information on re-usage scenario and distribution channel for angiographic catheters in different regions. By application, the market is segmented into coronary, endovascular, neurology, oncology, and other applications. The coronary segment accounted for the largest share of the market in 2017. Factors driving the growth of this segment include the growing incidence of cardiovascular diseases and demand for catheters for angiography procedures. According to OECD, in 2013, PCI contributed around 80% of the total coronary revascularization procedures in Europe and it is anticipated to increase in future. The global market is dominated by Europe, followed by Asia Pacific. Europe will continue to dominate the market during the forecast period mainly due to the presence of large patient population. However, Asia Pacific is expected to witness the highest CAGR. Factors such as the increasing burden of coronary arterial disease and focus of major players in emerging Asia Pacific countries are driving the growth of the market in this region. However, increasing preference for non-invasive angiography is expected to hinder the growth of market. Additionally, increasing number of Cath labs in the region is witnessing a substantial growth in region that have accentuated the growth of market. In Asian countries like India and China, catheter reusage is extensive in Tier 2 and Tier 3 hospitals which helps in reducing the procedural cost and provide affordable treatment to patients. However, due to the reduction in prices of catheters and growing awareness involved with the risk associated with re-used catheters, the preference for re-used catheters is anticipated to decrease in emerging nations. 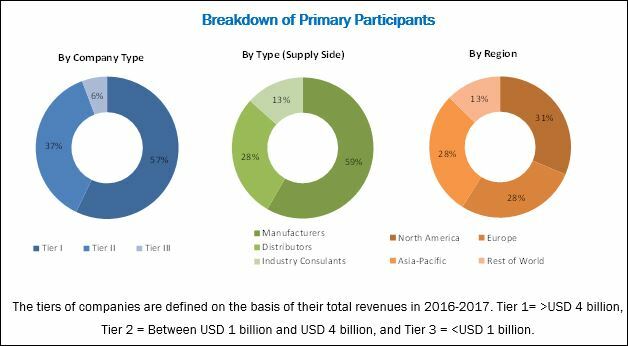 Major industry players launched innovative products to maintain and improve their position in the angiographic catheters market. Medtronic (US), Boston Scientific (US), Terumo Medical (Japan), Cardinal Health (US), and Merit Medical System (US) have been identified as key players operating in this market. These companies have broad product portfolios with comprehensive features. These players are observed to have a wide distribution network across the globe, which enhances their geographic presence. 10.10 Alvimedica Medical Devices Inc.